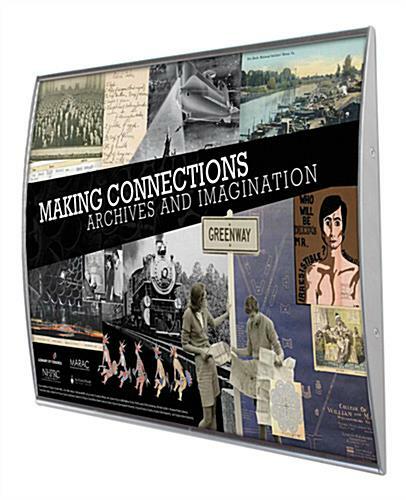 Media Size: 11.5" x 17"
Features double-sided VHB tape for fast and easy mounting. Non-reflective overlay to protect graphics from getting damage and prevents glare. Fabricated from silver anodized aluminum extrusion w/ plastic end caps for years of use. 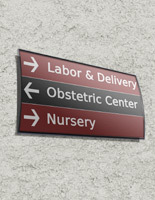 These wayfinding signs for business use, called office signage, are used in various indoor settings. 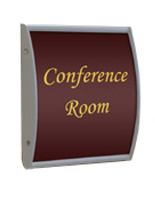 This signholder is often used to identify rooms, such as "Conference Room" or "Human Resources Office." 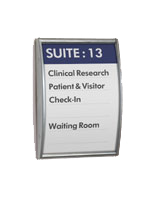 Wayfinding signs that stick to a wall are even used to direct visitors and guests to a specific area, like "Optical →," pointing patients in the right direction. This office signholder is also ideal for displaying warning signs for safety issues, such as "Emergency Exit" or "No Smoking." Wayfinding signs that hold an 11-1/2" x 17" graphic can help to prevent visitors from getting lost, and find the office they are looking for. 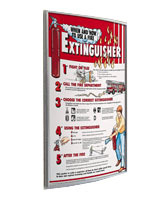 This product is also great for showcasing posters or advertisements in any business or retail store setting. 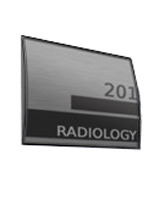 These silver wayfinding signs feature an, anodized aluminum backer for longevity. 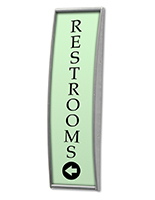 Directory display signholders, like the ones seen here, have a curved design to attract attention. Each frame comes with a non-glare lens to protect prints from dust or other elements from hindering the view of your displayed posters. 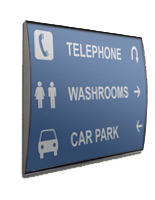 These directory displays, wallmount wayfinding signs do not come with printed graphics. However, customers can easily prepare their own artwork on any regular printer. 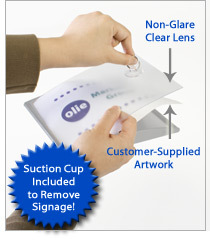 Printed graphics can also be easily updated and changed by using the provided suction cup. The suction cup enables users to remove advertisements without having to remove their sign from the wall. The frames come with two strips of double-sided VHB tape on the back for users to easily mount signs to the wall. The frame can be displayed vertically or horizontally on any flat surface. Sold at an affordable price, these wayfindings will be a perfect addition to any business. 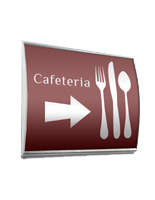 11.8" x 17.3" x 1.0"
This product worked extremely well for direction sign in a church. We attached them with wall anchors, drilling 2 holes through the backing instead of using the adhesive strips. Nice looking. We're so glad this worked well for your church, Melinda! Thanks for shopping with us. These met our expectations except for the tint that the face covers have. They aren't as clear as expected and I also didn't realize the size was 11.5 not 11 so a standard size 11x17 sheet of paper leaves a margin on each side.